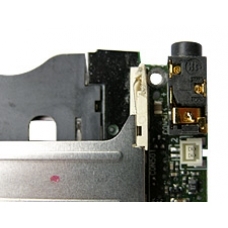 If your headphone socket on your h2200 series iPAQ unit has failed, then this is the repair for you. The symptoms will sound failure when using headphones and or on occasion the main speaker does not function, this is a sign of a headphone socket jack failure. We will replace the headphone socket jack board with a new part and restore normal audio operation.